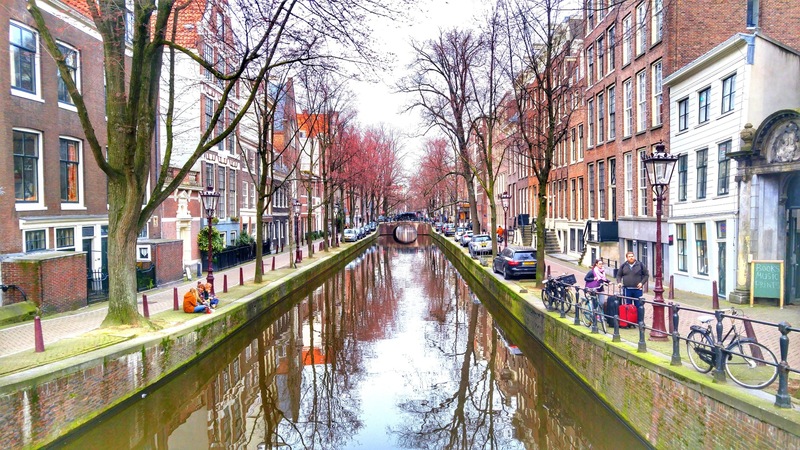 From 17th-century buildings lining picturesque canals in the Old Centre to the very hipster area of Jordaan, no European city blends the old and the new with so much flair as Amsterdam does. Here are 5 things you must do in Amsterdam. 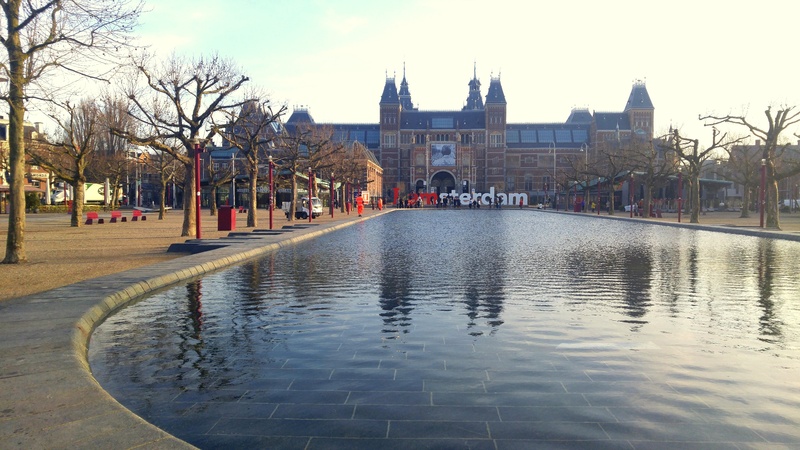 With more than 400 museums, Amsterdam really spoils you for choice. If you are in the city for a short while, you absolutely must make time for the big three. Rijksmuseum is Amsterdam’s (and Netherlands’) most important museum and is dedicated to the arts and history of the country. Its art collection is particularly impressive with stalwarts such as Rembrandt, Van Gogh, Vermeer, and Jan Steen gracing its walls. The Van Gogh Museum nearby is a tribute to perhaps the greatest Dutch painters of all time. Don’t miss visiting the Anne Frank House and Museum, a poignant tribute to the young girl whose life was brutally cut short by war. If you have time, check out the contemporary artworks at Stedelijk Museum or visit one of the many quirky museums that abound in Amsterdam – from the Museum of Bags & Purses to the Cheese Museum, and Electric Ladyland, which is a museum of fluorescent art. With its criss-crossing canals and more than 1,500 bridges, it’s no wonder that Amsterdam is known as the Venice of the North. Taking a canal cruise is a great way of seeing the city and also getting your bearings right. Several canal boat companies offer tours with audio guides pointing out the main attractions in Amsterdam. The cruises start from different points in the city; some of them are hop-on-hop-off tours, while others give you a comprehensive hour-long tour. Take your pick and see the city from a new angle. I recommend taking a tour close to dusk so that you can see the sky changing colours and the twinkling canal lights coming on. 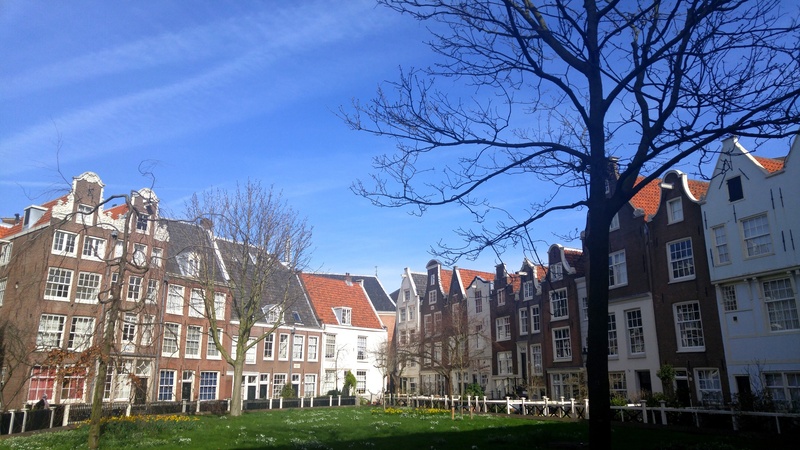 Despite its canals and cheek-by-jowl buildings, there are many green spaces in Amsterdam. Vondelpark, located near the museum quarter, is one of the biggest urban parks in the city. Go jogging or cycling here, or just take a picnic basket and enjoy an afternoon break in the park. Located in Amsterdam West, Rembrandtpark is another green oasis complete with a petting zoo. Or people-watch by the elaborate fountain in Sarphatipark in De Pijp area. The city is also dotted with hidden courtyards, many of which are open to the public. Take a peek inside the most beautiful of these courtyards at Begijnhof, which is located between two churches. When the tulips are in season, make a day trip to Keukenhof for some splendid flower displays. Dutch food may not be known as gourmet cuisine, but Amsterdam is home to a very international population, which translates into a wide variety of food. Some Dutch specialties to try are the haring, which are cured herring served with onions and pickles, and the broodje kroket, which is a meat croquette served in a bread roll. Amsterdam is famous for its Indonesian cuisine, and you must try the rijsttafel, a ‘rice table’ that includes an array of Indonesian specialties. Sample some local beer or genever (Dutch gin) at one of the cosy brown bars in the city, and for the coffee fanatics there are many third-wave cafes all over Amsterdam. 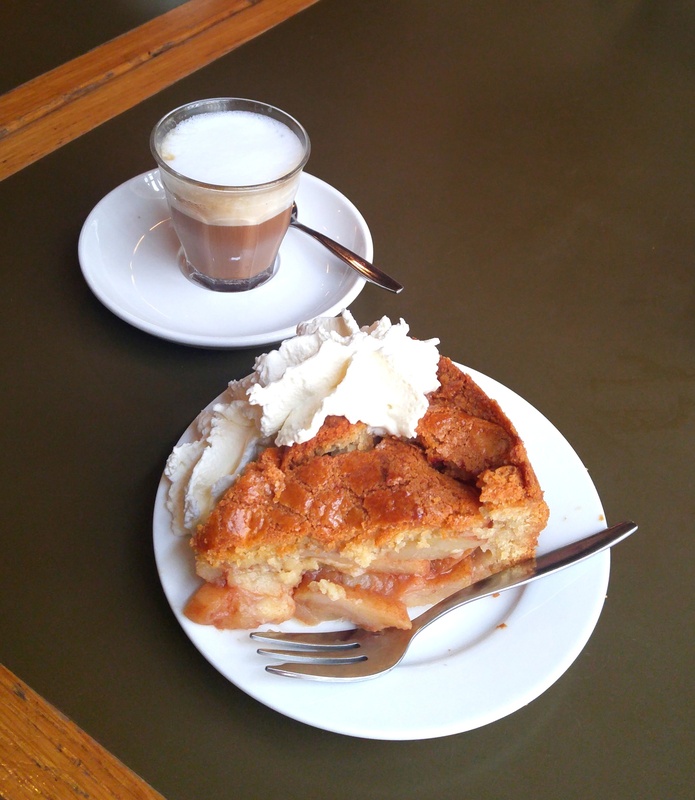 For dessert, have the legendary apple pie at Winkel 43 in Jordaan, or an Original Stroopwaffel from a vintage cart in the De Pijp’s Albert Cuypmarkt. The best way to sample some of the best foods in Amsterdam is to take a food tour with a local; try Hungry Birds or Eating Europe food tours. There’s plenty of shopping in Amsterdam, from the high street fashion of Kalverstraat and Leidsestraat to the luxury shops at P.C. Hoofstraat in the museum district. For indie Dutch design, check out De Negen Straatjes (nine streets) in the canal district on the edge of Jordaan. Here you will find local design boutiques, vintage shops, and high-quality Dutch design products. Check out De Hallen, a former tram terminus converted into a cultural centre with several design stores. It also houses Foodhallen, which is an indoor street food market. 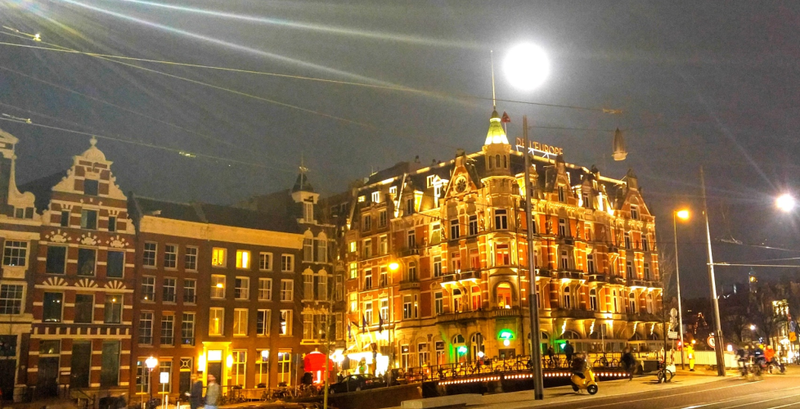 From a 17th-century inn to a 21st century luxury five-star hotel, De L’Europe is one of the historical landmarks of Amsterdam. The current hotel building was built in 1896 and it still retains the genteel elegance of the era. The hotel is divided into the older, classical wing, and the Dutch Masters Wing, which was added in 2010 by completely refurbishing a bank building next door. De L’Europe’s attractive location on a bend in the Amstel River makes it one of the best canal-side luxury hotels in the city. De L’Europe is centrally located near the Bloemenmarkt (floating flower market) on Singel canal, just opposite the elegant 17th-century Munt Tower. Amsterdam’s Centraal Station is a mere 15-minute walk away, and Schiphol Airport is about 30 minutes by car. If you prefer to use the public transport, there’s a bus & tram stop less than 5 minutes from the hotel, and from here you can conveniently travel to almost any part of the city and visit all the main attractions and museums. I recommend buying the ‘I Amsterdam Card’, which will let you use the public transport for free for the duration of your stay, plus give free or discounted entry to various museums and attractions. 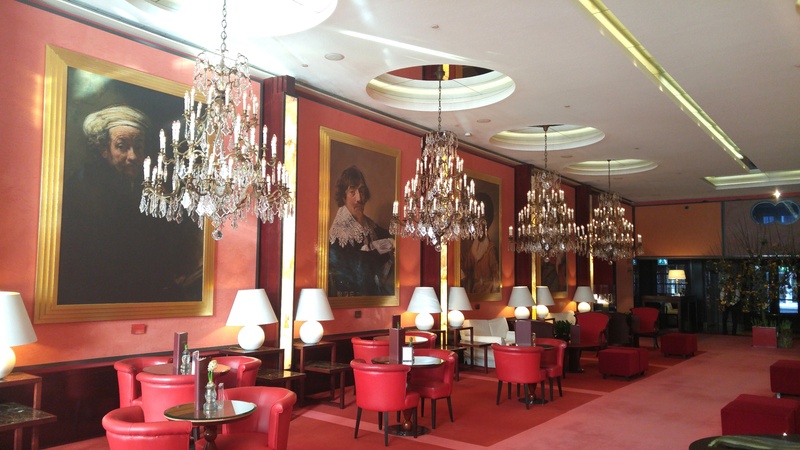 De L’Europe still retains its historic grandeur and charm – from the liveried usher at the door to the grand lobby lounge complete with elaborate chandeliers, every little detail spells old-world luxury. Beneath the bygone era charm, stands a thoroughly modern hotel made more special by the courteous and friendly service you will encounter. The hotel has a full-service spa with 4 treatment rooms, a chic relaxation room, saunas, a Turkish steam bath, and a beauty salon. 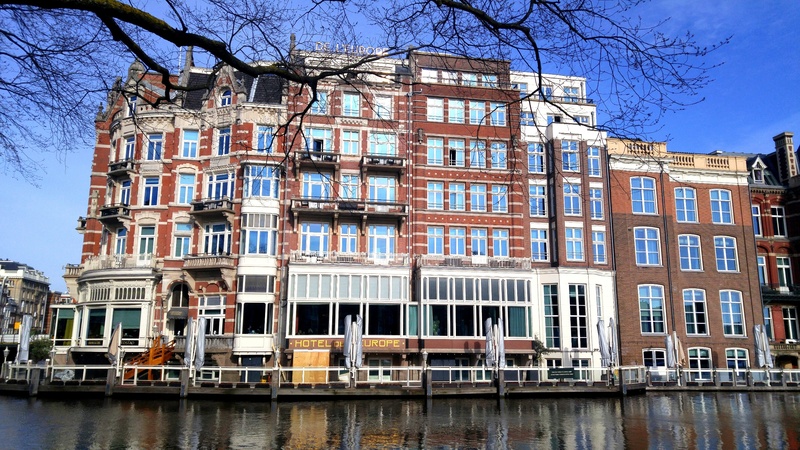 There’s also a gym and a pool with jet stream and Jacuzzi, with spectacular views over the Amstel River. 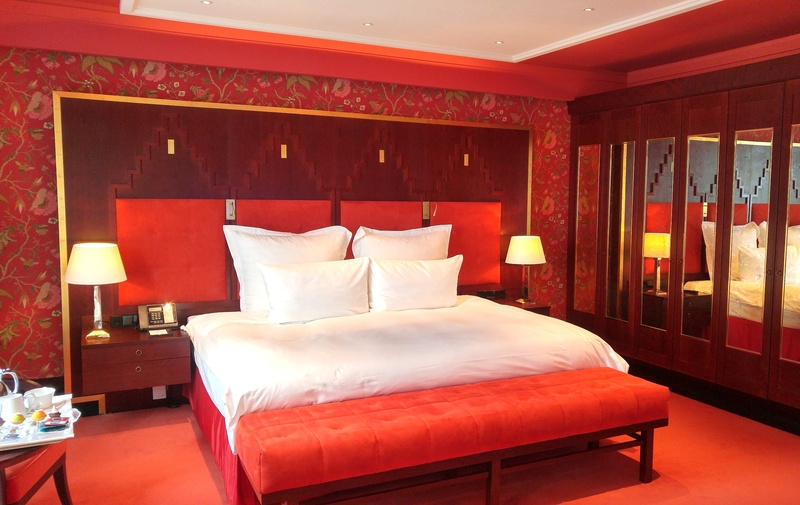 The hotel has 88 rooms and suites in the main building, and 23 modern design suites in the Dutch Masters Wing, and most of these come with a view of the canals or of the city centre. I was upgraded to a Junior Suite on the 3rd floor of the hotel, and what delighted me the most in my room was the small French balcony that gave a sweeping view of the Amstel River below – truly a room with a view! The room had a massive king size bed with a really comfy Coco-mat mattress, a large and spacious wardrobe, a work desk and chair, and a seating area with a coffee table and two sofa chairs. The bathroom was huge and beautifully marble-clad, with a window-side bathtub, separate shower area, and high-quality Blaise Mautin toiletries. Meticulously recreated copies of paintings by the Dutch Masters adorn the walls of each room, and the décor and colour scheme reflect the painting. My room had a copy of The Feast of Saint Nicholas by Jan Steen (the original hangs in the Gallery of Honour at the Rijksmuseum). The warm red and gold tones of the painting were brought alive in the gilded crimson colour scheme of my room, from the heavy drapes to the headboard to the chairs, everything seemed straight out of a Baroque palace. Wi-Fi is free throughout the hotel and is reasonably fast. De L’Europe boasts of five dining spaces, the most prestigious of which is the two-Michelin restaurant Bord’Eau with an inventive, contemporary menu, and a good value set lunch offering. Breakfast is served in the canal-facing Hoofdstad Brasserie, while the Promenade in the lobby serves a superb London Afternoon Tea with oysters, scones, crostini, éclairs and pastries, accompanied by the choicest teas and coffees, or even Champagne. Hèt Terras is the canal-side terrace restaurant, which is open from April to September, and is perfect for a summer meal with a view. Spend your evening at Freddy’s Bar, where you can down a perfectly mixed Bloody Mary as the pianist serenades you. 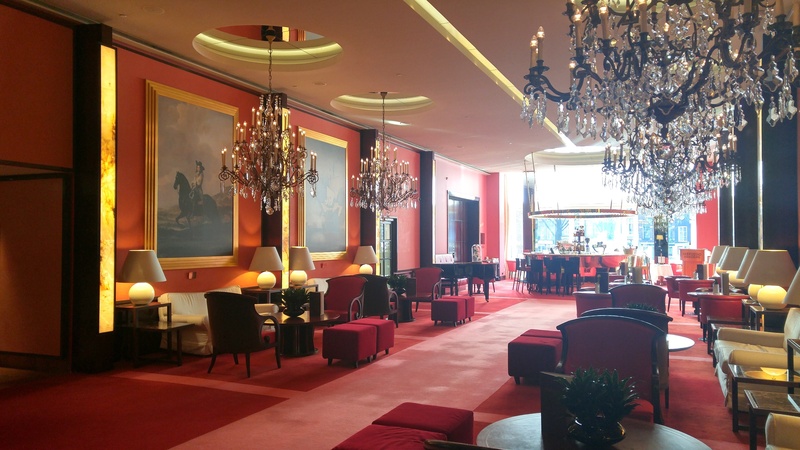 The bar also features a separate fumoir section with an unparalleled cigar and cognac collection. 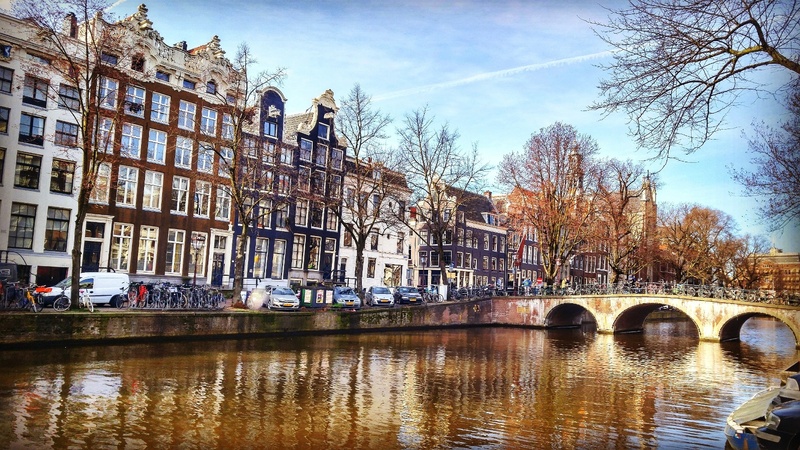 So, is Amsterdam on your summer vacation itinerary? Book your stay at De L’Europe with Namaste Tourism for a tailor-made package suited to your needs. Prachi Joshi is a freelance travel, food, and luxury writer. She blogs at www.deliciouslydirectionless.com.